Home » Auction Solution » Audience Response System » Audio visual » business solution » classroom response » If you’re an AV company you don’t want to conduct business without this. It’s been reported that the more options you can offer to your customers the more customers you will get. The reason why is because it reduces or eliminates the need for them to search for individual products and services they require from a variety of places in order to carry out a successful event. 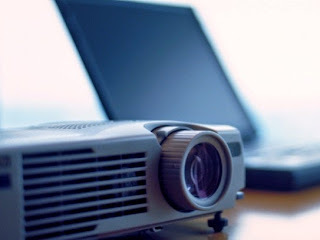 Companies and presenters look for AV services for a variety of reasons. When they are comparing Audio Visual companies they may take an interview approach so, it’s ideal to be prepared to give them a reason to use your services. Think about when you are interviewing for your own company what do you usually ask? Why should I choose you and not another? Your potential clients may ask you that type of question, ‘why should I choose your AV company and not another?’ If you have an answer such as you can offer them more ‘in case they need it’ it’s more likely that you will get chosen to be their service provider compared to your competitor that doesn’t offer a technologically advanced solution that can make the event coordinators job easier and help the event to run smoother, such as an ARS (Audience Response Software) solution. · Flexibility - some of our customers decide to purchase an Audience response system to have on hand and others decide they would like to rent our products when they need them. · Technician Support - we offer a variety of support levels to help all of our clients whether they purchase or rent ARS software and equipment from us. · Training - we specialize in training our customers on how to use the system so, when your prospect interviews you, you can feel confident in knowing how to run the equipment and show the features you see will benefit them. Get informed now in order to get the competitive edge. To view a free online demonstration of our products and software, inquire about how to get a test kit to try out or to find out why Audio Visual Company’s enjoy our products contact us now by calling 212-997-2000, email us: powercom@dsii.net or chat with our online support.